and I decided to don the colored wigs to help us feel like animated characters. we started our spiel with gusto! 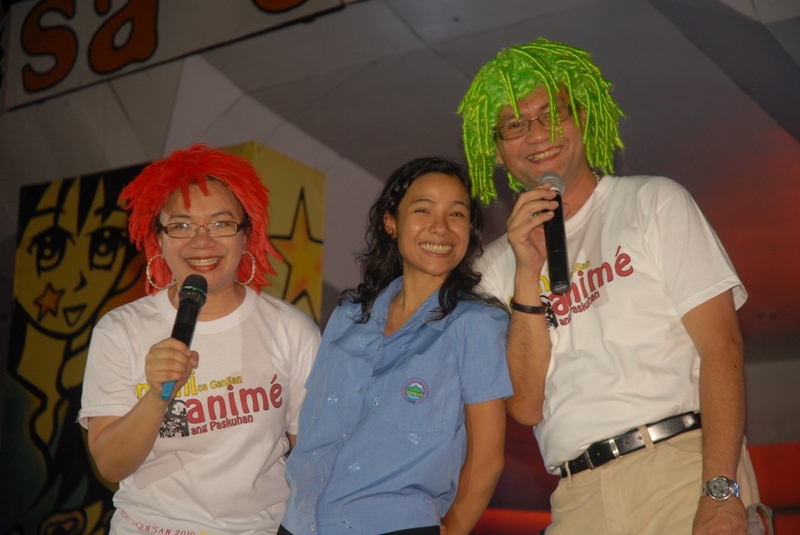 We had great fun with Gensan Mayor Darlene Antonino-Custodio on stage! Even the Festival Director Dra. Rose Acharon wore the wig. Game na game si Madam! presented Hymns of Christmas in Animated Sound Showdown. There was Anime Rap Pop by Anadon the Rapper and Hip Hop Dance Specialists. 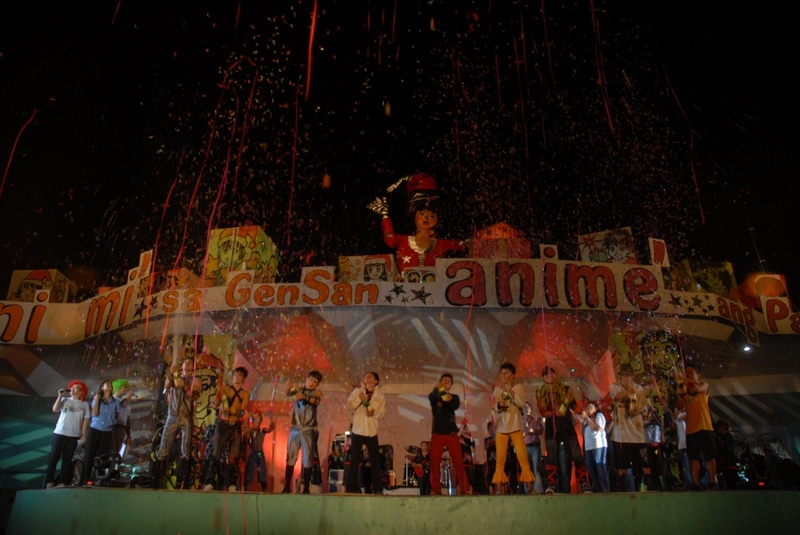 Anime Power X to the X Level was presented by the Power X Kids. Anime Power by Power X Kids! were the Anime Beauties in a Hero dance number. and simultaneous lighting of the Oval Plaza. 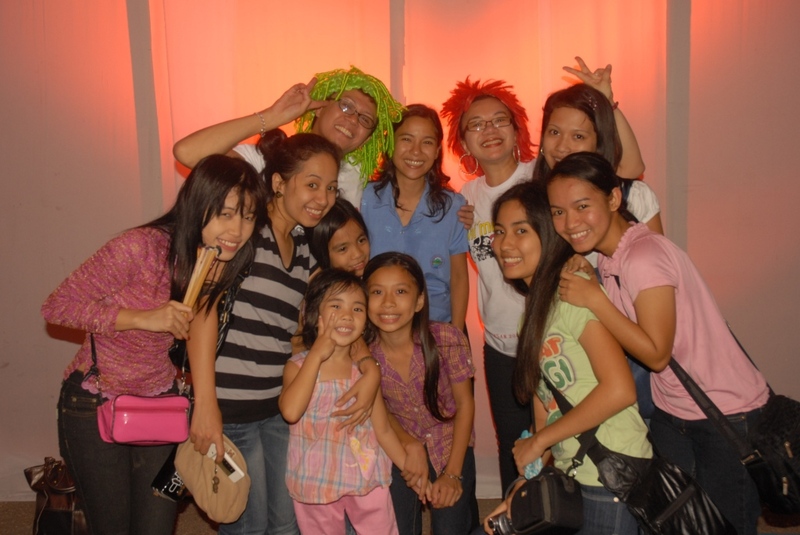 With Raymond, my student assistant, and my girls: Julia, Mayang and Duday. The Animated Fire in the Sky was the longest fireworks display I have witnessed. Indeed, there is a child in every General! And it was just the start of a month-long celebration! 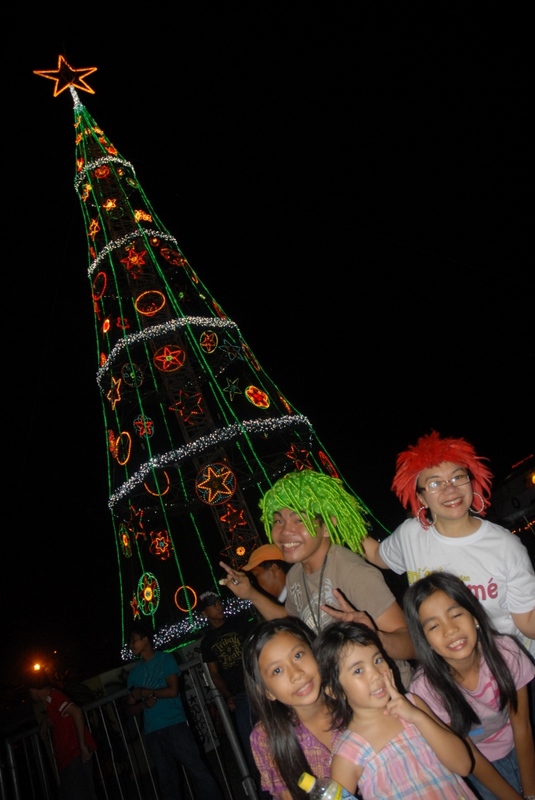 Watch out for more stories about Pasko sa Gensan 2010! 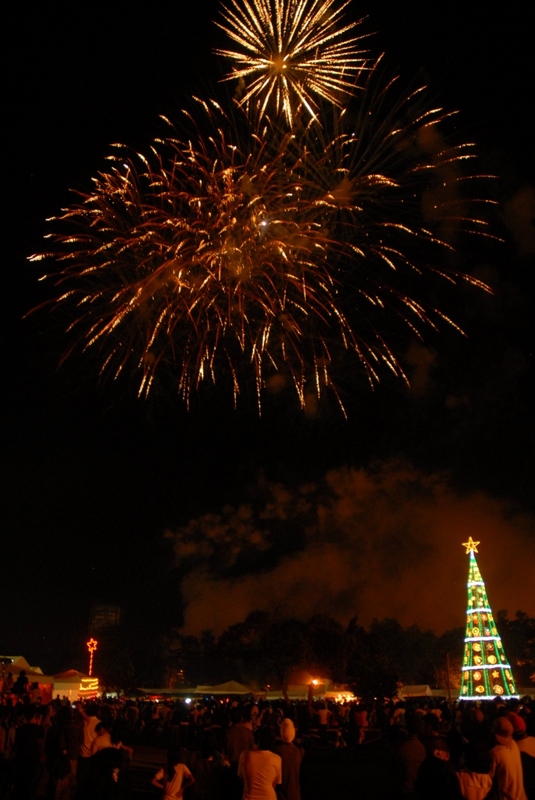 This entry was posted in Christmas, Pasko sa Gensan and tagged Allan Loi Villanueva, Dra. Rose Acharon, Egai Cadiente, Elmer Cequiña, Gensan Pop Idols, Glenn Gonzalez, Magndang Gensan, Mayor Darlene Antonino-Custodio, Oval Plaza. Ganda talaga ng Gensan!! At ang galing ng mga Generals!! I think the fireworks displays was more or less 6 minutes!!! The longest fireworks display i have ever witnessed in my entire 19 years of existence! 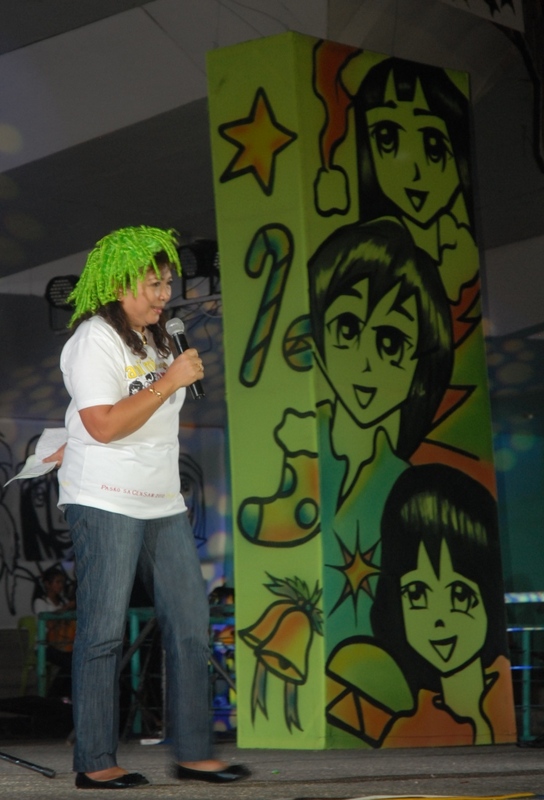 And of course, my Mommy Joana gave her best in hosting the event!! Love you mommy! All us in SK do!! Thanks, precious Pia! All the love! Sure, Dimple. Just properly acknowledge Mosler Paul Lapore for the pictures.